Come by to hang out with the dogs, relax and have a visit and learn more about the amazing work that these dogs do. Leave feeling 100% better! What’s the BEST way to relieve stress during final exams? Hanging out with dogs of course! 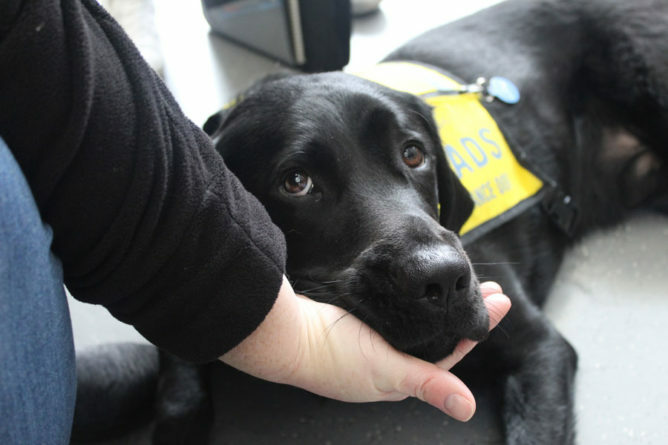 The Douglas Students’ Union, in partnership with the Pacific Assistance Dogs Society, St. John’s Ambulance, and BC and Alberta Guide Dogs, brings you the DSU Dog Therapy! Check out our social media for Dog Therapy Dates each semester!